The Samsung GALAXY S4 zoom opens up a whole new realm of possibilities for superb picture-taking on the go. Whether you want to shoot great photos while you are talking to friends on the phone or get the most out of the powerful 16MP camera and its customisable settings, you need to check out our top 10 photography tips to get the most out of your GALAXY S4 zoom. It's impossible to miss the Samsung GALAXY S4 zoom's crowning feature: the Zoom Ring. Mounted on the back of the handset just like a traditional compact camera, the Zoom Ring does more than just zoom. It also acts as a trigger for the Quick Launch and Shortcut features so you can open the camera to exactly the shooting mode you need. As seasoned photographers will know, timing is everything: so one second you spot that perfect once-in-a-lifetime shot, the next you can be snapping it with the perfect camera set-up. Even if you're on a call, you can take and share photos with nothing more than a twist of the Zoom Ring. Of course, it lives up to its name too, with the 10x optical zoom ensuring you can get as up close and personal to your subject as you want for that perfectly-framed photo. Unlike most cameraphones, the GALAXY S4 zoom allows you complete control over the 16MP camera and its functions. Professionals will relish the opportunity to control the shutter speed to get the most out of fast-moving sporty shots and super-low-light subjects, as well as tweaking the white balance and focal lengths. 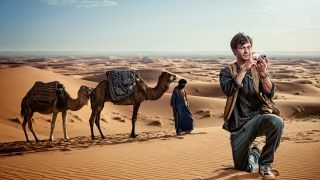 This means that you won't have to rely on post-production to make the most of your shots – and it allows you to be more adventurous in the field, too. Of course, if you're not that confident tweaking the settings yourself, you can let the GALAXY S4 zoom do it all for you. Smart Mode handles the nitty-gritty camera adjustments for you so that you can concentrate on getting your shot. Samsung's Smart Mode Suggest intelligently assesses the scene, giving you the best options based on the light level, focal length and face detection. If you're trying to get a shot of something moving, you'll want to try out Action Freeze, which does just that – freezes the action on screen. Meanwhile, Drama Shot can capture a burst of photos and merge them into one perfect image. The GALAXY S4 zoom comes with a high-end Xenon Flash, giving a shorter, brighter flash of light than the more common LEDs. While most compact cameras now have a Xenon Flash, they are still relatively rare on phones. Since the Xenon Flash provides a lot more light than the LED flash you usually get on a cameraphone, you'll get a much better 'strobe' of light as you capture your shot. This has the effect of freezing motion as you snap and reduces the possibility of a blurry photo. Like the rest of the camera options, you can choose to have as little or as much control over the GALAXY S4 zoom's flash as you like – either opt for the auto setting to have the device decide if the shot requires it, or toggle it on and off yourself. As well as intelligently assessing scenes and detecting faces, the camera on the GALAXY S4 zoom has a number of nifty effects up its sleeve. You can choose settings that optimise the S4 zoom for landscape, dawn and snow scenes, as well as opt for the Macro setting for super-close-up images. To add a bit of magic you can try an Animated Photo, which allows you to capture a scene and create a cinemagraph-style photo containing both moving and static objects.